Humanity is dying, under attack from an unknown enemy who is killing them in wave after wave of horror and blood. The 1st wave took out electricity, communications, the backbone of today’s society; the 2nd wave decimates coasts and cities all over the world; the 3rd wave comes in the form of plague, killing billions and the 4th wave see’s the few who are left running for their lives, unsure of who to trust. Now the world awaits the 5th wave even as the strange mothership looms above the earth waiting, ominous and silent. Cassie finds herself alone in the woods, for all she knows, the last human on earth, running from sharp shooters, staying alive out of pure determination to keep a promise that may prove to be unkeepable. At her lowest ebb, she meets Evan who has been living quietly since losing everything. Evan is kind, capable and willing to do anything for Cassie, including help her keep her promise but Cassie remains scared, suspicious and sure that whatever the 5th Wave is, she’s better of facing it alone. In addition to Cassie there are three additional narratives. One is that of Private Zombie, a young man, shell-shocked and sick who ends up recruited to the fight against the Others (as they have become known, clearly the military were big fans of Lost). Realising that he has the opportunity to take up arms against those who took away life as he once knew it, Zombie slowly transitions from a thoughtful and relatively gentle boy into a hardened soldier, a person which even he himself is unsure of. The third narrative is that of another recruit, Private Nugget (these names all make sense on reading), an impossible soldier who clings to Zombie in a way not encouraged by their seniors. Nugget’s voice is more than a little heart-breaking but his character is nothing short of inspiring even though he gets less page-time than the rest. The final narrative appears only once or twice and is from the point of view of a character who was once human but who has become distinctly Other. Yet their humanity remains, causing confusion, pain and ultimately becoming the crux of the entire story and these small sections of the book are both eerie and moving. This review was brought to you by Splendibird. 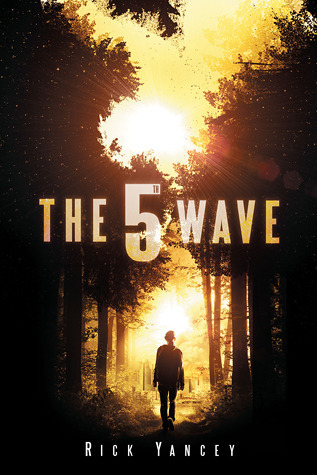 The 5th Wave will be available from 5th May 2013. Thank you to the publisher, via NetGalley for providing us with this title to review.